Hendrickson Chrysler Dodge Jeep Ram has a fully stocked lot with all the latest Chrysler, Dodge, Jeep and RAM, cars, trucks and SUVs. Just imagine yourself behind the wheel of a new Jeep Cherokee or Dodge Journey riding around the streets of Logansport, IN. Everyone will ask you which Chrysler Dodge Jeep RAM dealership you got your wheels from and you’ll say Hendrickson Chrysler Dodge Jeep Ram. In addition to a great selection of Chrysler, Dodge, Jeep and RAM models, Hendrickson Chrysler Dodge Jeep Ram has fantastic parts and service specials to keep your car, truck or SUV running at peak performance. The fine people of Logansport, IN can bring any make or model down to Hendrickson for these great offers. Just because we are a Chrysler Dodge Jeep RAM dealership serving Logansport, IN, doesn’t mean we only service these makes of vehicles. 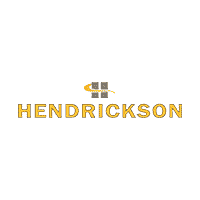 Hendrickson is truly dedicated to bringing the finest quality customer service to Logansport, IN. When you arrive at our dealership, we want you to believe that Hendrickson Chrysler Dodge Jeep Ram is an excellent choice for the Logansport area. Cruising the streets of Logansport, IN in a vehicle from Hendrickson Chrysler Dodge Jeep Ram will change the way you look at the open road. Hey Logansport, you won’t regret giving Hendrickson a chance. Hendrickson Chrysler Dodge Jeep Ram is conveniently located at 114 N 8th St, Monticello, IN. Come down today!